Yarmouk Camp, Syria: The United Nations agency charged with ensuring the well-being of Palestinian refugees across the Middle East has warned today (30 June) that, despite reports of a truce between the Syrian Government and armed groups inside Yarmouk camp, it is still unable to carry out humanitarian operations there. UNRWA said it has been a month since the last distribution inside the camp, adding that the UN Agency is urgently seeking the resumption and expansion of its humanitarian activities inside the camp, where conditions remain dire for the 18,000 civilians trapped there. 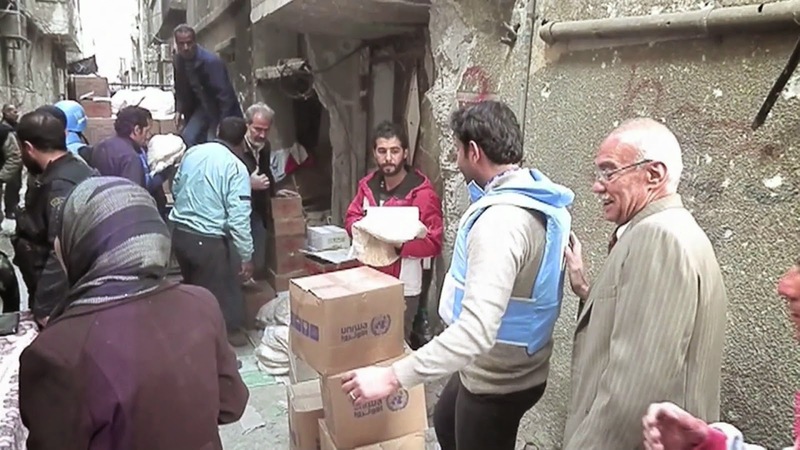 The agency added that it stands ready to implement a rapid humanitarian response so that the immediate and longer-term needs of the civilians of Yarmouk can be met. UNRWA noted that it will continue to advocate for continuous, substantial and safe humanitarian access to Yarmouk, and to ensure the protection of Palestinian and Syrian civilians. Prior to the armed conflict in Syria, which began in March 2011, Yarmouk, on the outskirts of Damascus, was home to over 160,000 Palestine refugees.